Israel was founded by the left, which dominated politics in the early years of the state. In 1992 it took 61 of the 120 seats in parliament. Nearly 30 years on, the left is forecast to take only around 25 seats in an election on Tuesday. 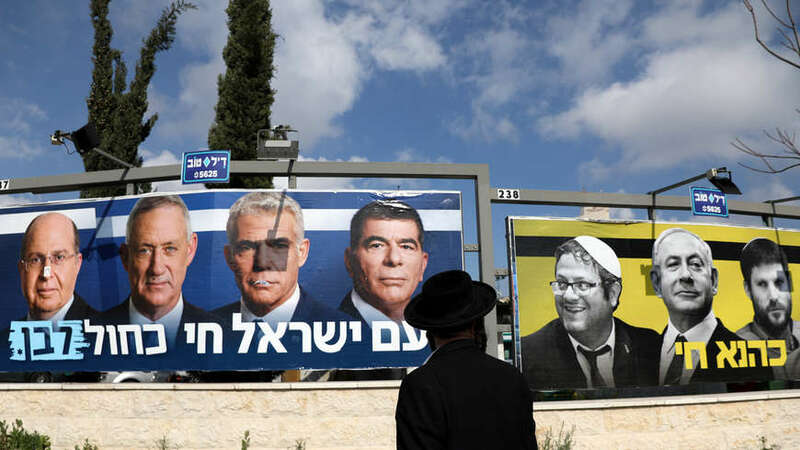 Israeli politics is dominated by corruption and electioneering. Netanyahu is desperately trying to win support from the leftists by pushing himself in Israeli centrists politics. When Israeli Prime Minister Benjamin Netanyahu wants to undermine his strongest election challenger, he pins a label on him that many Israelis see as an insult: “Leftist”, suggesting old politics and a time for transition and modernisation. Netanyahu is trying to paint Gantz as a weak leftist who will endanger Israel’s security by giving territorial concessions to the Palestinians, which is anathema to the right. This has become Netanyahu’s standard play-book. Now, only 12 percent of Israelis identify themselves as left-wing, according to the Israel Democracy Institute, which was double that a decade-and-a-half ago. Benjamin Netanyahu has been in power for the past decade, he is months away from becoming Israel’s longest-serving leader assuming he is re-elected. The only candidate with a chance of beating Netanyahu is not a leftist. Benny Gantz, a former general and political novice, belongs to a new party that is running on a centrist platform. Gantz is seeking to win over right-leaning voters and has been promoting his military credentials and is a pragmatist. Gantz was head of the Israeli military during the 2014 Gaza war between Israel and the militant Islamist group Hamas in which 2,100 Palestinians were killed, against an Israeli death toll of 67 soldiers and six civilians. Gantz embraces that legacy, running a television ad which highlighted the number of Palestinian militants killed on his watch. Careful not to alienate centrist voters, Gantz also chooses his words carefully on the issue that more than any other divides Israel’s left and right – a “two-state solution” for the Israeli-Palestinian conflict. Gantz nods to the left by saying Israel should pursue peace and end its dominion over the Palestinians but stops short of endorsing Palestinian statehood. Most polls show Gantz’s centrist Blue and White party leading Netanyahu’s right-wing Likud in a straight race. But they also show a Netanyahu-led alliance of all the right-wing parties is more likely to secure a majority. In the build-up to the election, Netanyahu struck an alliance with anti-Arab and far-right politicians, some of whom seek to annex the Israeli-occupied West Bank. Riddled with corruption charges and social media scandals. Netanyahu is in election-mode, Isreal is mending International relations and forging new ones, some with Arab nations, but Netanyahu will not make any drastic statements before the election, which will take place on Tuesday 9th April. Instead, he is using his power and influence in America with powerful and influential Jews hoping it can take him over the line.